It’s important to give your body and mind time to decompress before going to sleep. This downtime helps you feel more relaxed, and it can help you fall asleep more easily and get a more restful sleep. However, for many of us, technology is negatively affecting our sleeping habits. We watch TV, play on our smartphones and read on our tablets right before we go to bed. A study has found what many of us have already suspected: Using our phones and tablets before bed negatively affects our sleep. 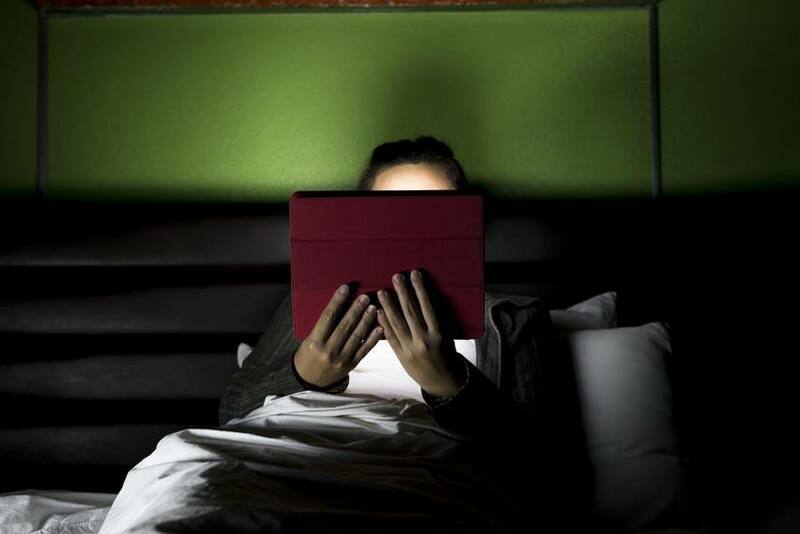 A study from the University of Bergen found that people who read on an iPad about 30 minutes before going to bed felt less sleepy and had different brain activity than those who read from a traditional paper book. “Participants said they felt sleepier when reading the physical book, as reported in Sleep Medicine. After reading from an iPad, EEG readings showed delayed and reduced slow wave activity, representing deep sleep, in the brain after sleep onset compared to when the participants had been reading from a book, ” reports Kathryn Doyle in the Toronto Sun. When the eye registers blue light, the brain interprets this as a signal of daylight and triggers wakefulness. The key takeaway from the study is that all types of electronic devices, including tablets and smartphones, have an impact on alertness and sleep. If you enjoy reading from your tablet and are having trouble sleeping at night, give these tips a try.